Students in the Visual Arts Department pin, hang and place their art in the Edwards Center for Art and Dance. 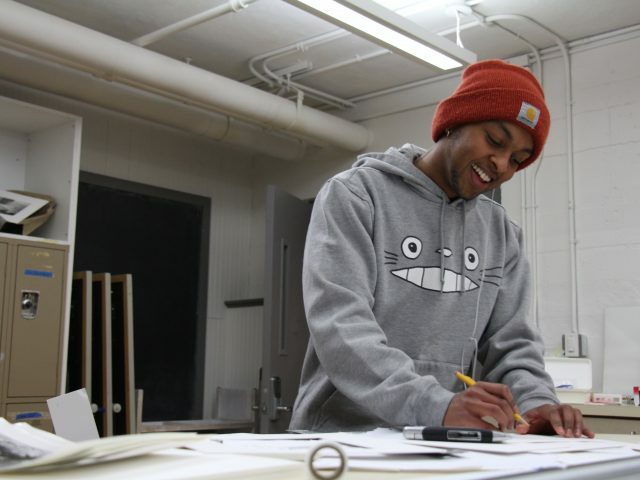 For these students, this show is their final; the culmination of months of hard work. Drawings, paintings, sculpture and much more will fill the walls. It’s a bird, it’s a plane—oh, wait, it is a plane! Teddy Wecker ’22 flies above Bowdoin in a Piper Cherokee. 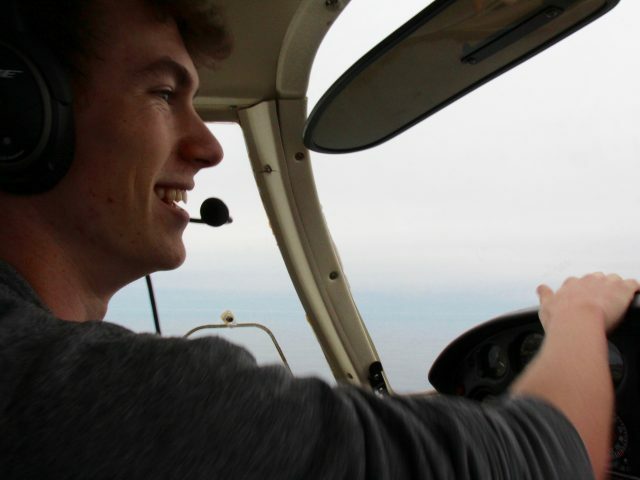 The first-year finished his pilot’s license a few weeks before coming to the College. For him, flying in Maine is a dream. 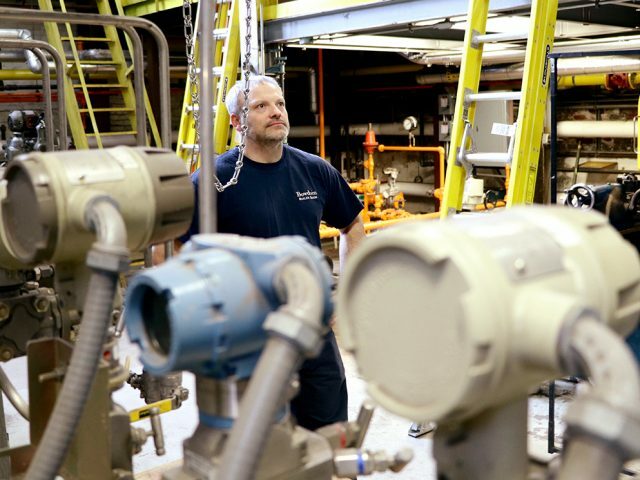 As students write papers in the wee hours of the morning, snooze their alarm for an 8 a.m. class, labor over crossword puzzles at lunch, go for an afternoon run, or dance the night away in a dimly lit basement, the Bowdoin Heating Plant’s six engineers work tirelessly to keep the College running. Taco the Town is officially back from its winter hiatus. This food truck, run by Chef Tai Choo and his crew, is a unique addition to Brunswick’s culinary scene. 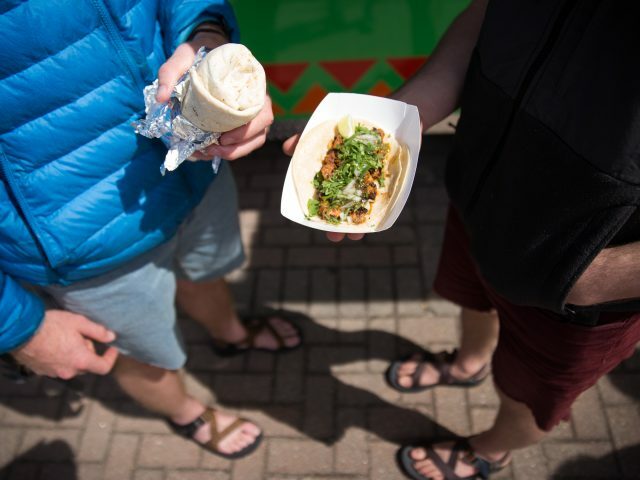 Choo grew up eating from San Francisco taco trucks and brought his tastebuds to Maine, serving up tacos, burritos and quesadillas for his community.